The 4th annual Oak Street Art Fair is an all-day art and music party! 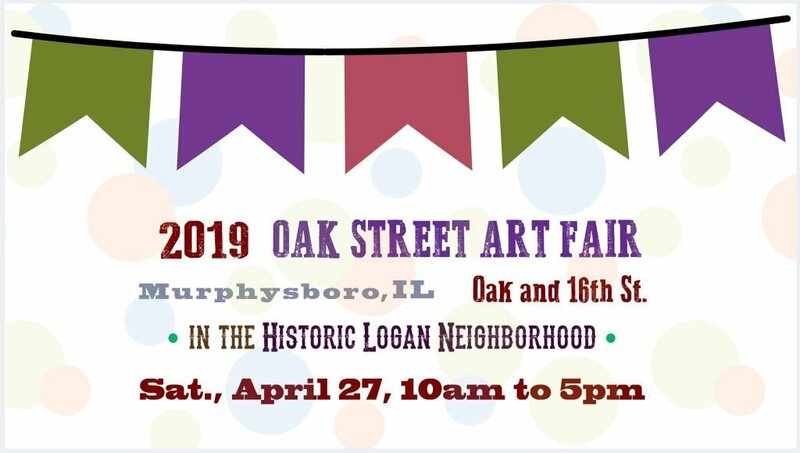 Come out to Murphysboro between 10 and 5 for (free) live music on the Oak Leaf Stage, great local art, and structured art activities for children. So far, we have artists working in ceramics, painting, sculpture, glass, metals, jewelry, prints, fibers, photography, leather, stained glass, wood, quilting, mixed media, and musical instruments. We will be highlighting our artists and musicians in the coming weeks. For more information about this and past years’ fairs, please see www.oakstreetart.com/fair. And please share widely!